Excellent casting; encouraging fit, very well molded; very Interesting subject. The price and the quality of this little Gaso.line gem makes this kit unbeatable! 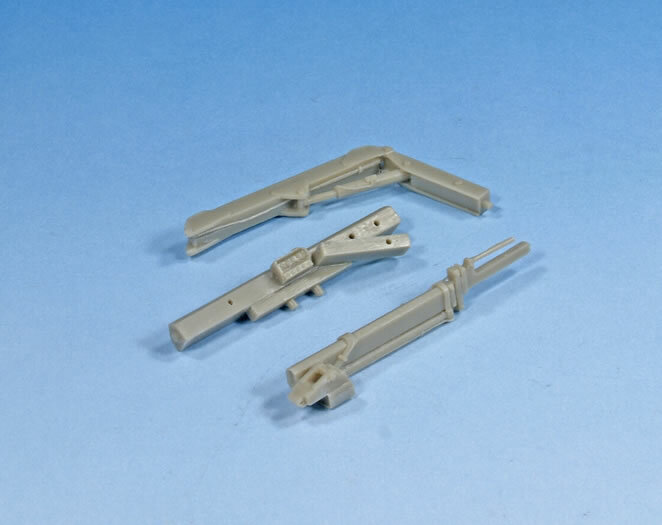 In the last months the French Company Gaso.line has been producing models to scale 1/48 with an increasing quality. The pull of the models to this scale in the last years promoted by Tamiya's push has led that more “esoteric and rare” vehicles could be released in confidence. 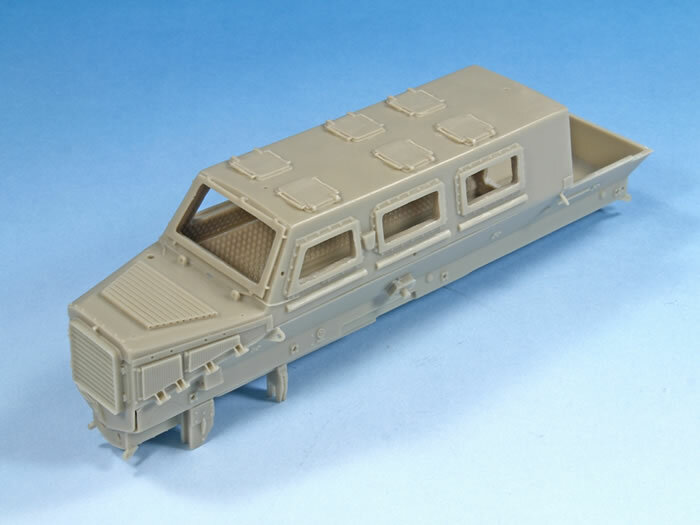 One of the models most waited by modelers, and announced months behind for the French brand, is the Buffalo Mine Resistant Ambush Protected Vehicle (MRAP), vehicle detector and mine cleaner developed by the North American army. The wheels of big dimensions, the V shaped chassis to lessen the effects of the explosions, its considerable height and it complex and strange arm for mine clearance duties, have done of this vehicle an attractive vehicle, even enough for last Hollywood productions like Transformers 2 “Revenge of the Fallen”. Gaso.line has solved very well the production of this model. When we open the box we meet approximately 110 pieces of gray resin of good quality and detail, several pipes of metal, two sets os Photoetched parts provided by Hauler, three pieces of vacuformed plastic for the lights and 6 pages of detailed instructions. It is necessary to admit that the parts in resin fit very well between them; details are crisp and are easy to handle to expert modelers. 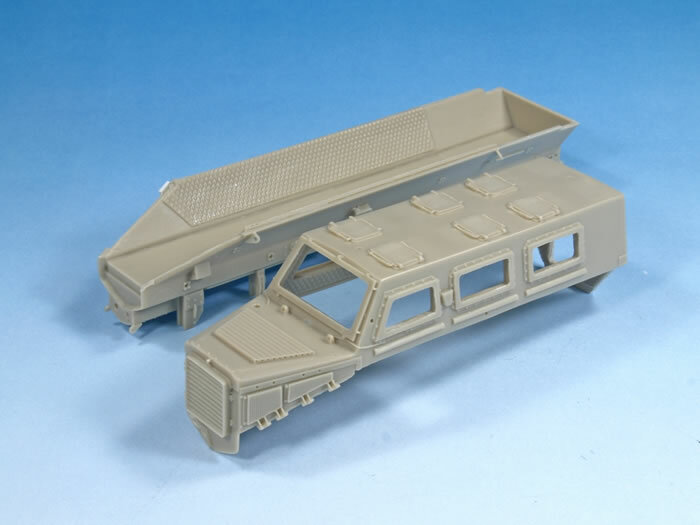 It calls the attention that Gaso.Line has not included a leaf of clear green tinted styrene to simulate the windows of this vehicle, so characteristic in this vehicle and so relevant in the final aspect of the Buffalo. 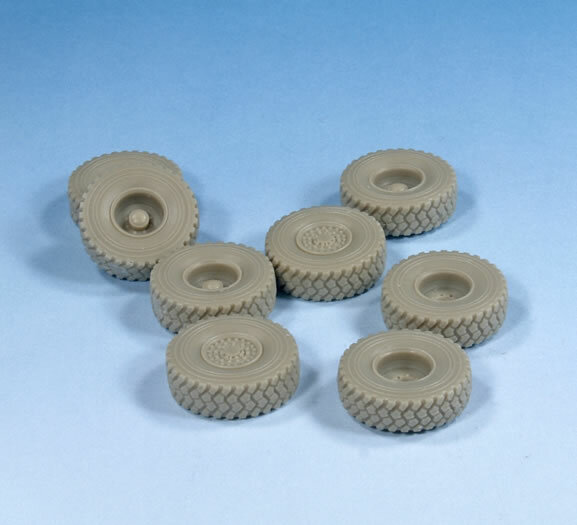 The most complicated part, due to the big number of pieces involved, are the wheels’s axels, especially the rear one. Any away, the fixing of the different pieces is very intuitive son the probability of mistake is reduced. An aspect to bear in mind is the incorporation of the interiors. The vehicle has large and numerous windows, and the interior of the vehicle is partially visible. 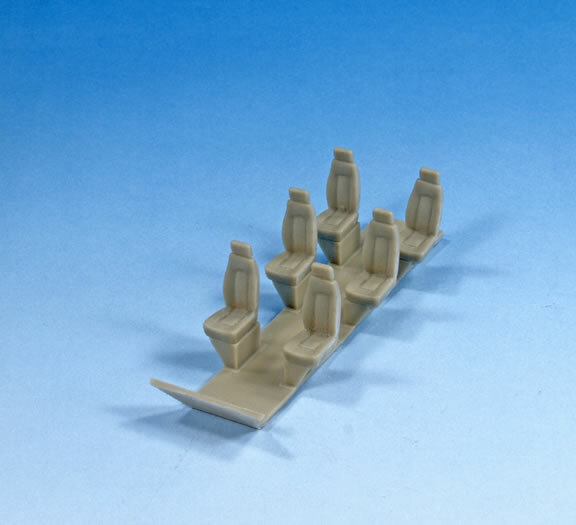 So, in order to solve this singularity, the kit includes 6 seats of the crew members, although the completed interior tastes a little succinct and “Spartan”. Anyway, this is not a big problem as the tinted windows obscure considerably the visibility of the interior . The most distinguished parts of the vehicle are on the one hand, the mine clearer arm , placed in the front part of the vehicle, where we can appreciate the infinity of cables that goes (a really patience work!). On the other hand, we have the back stairs to climb up in to the vehicle. 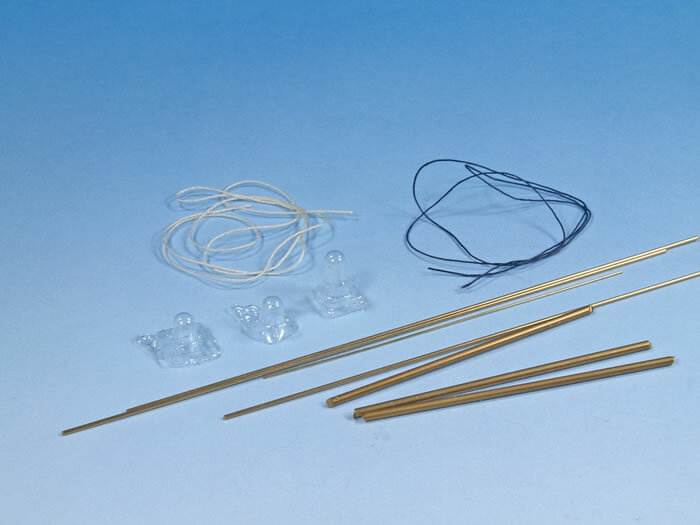 To make them, the kit includes a pre-formed piece of resin that can be use to bend the pipes to the proper form. Both halves of the hull, they fit to the perfection, and already a powerful vehicle is felt when you join them. Details are really crisp and completely “in scale”. 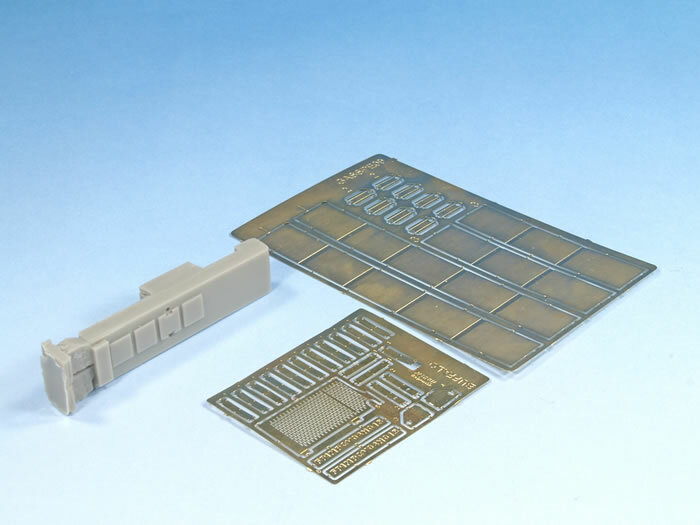 Up to the smallest details of resin come very well solved and engineered, so it is very easy to separate and clean them for their future placement. Gaso.line has extended their catalogue of modern vehicles with a real jewel. It is possible to do this Kit in) different versions. You can choose between North American, Canadian or more recently French with a camouflage to two colors. It is a highly recommended Kit, for the modelers that likes the modern vehicles, as it´s a really attractive vehicle. 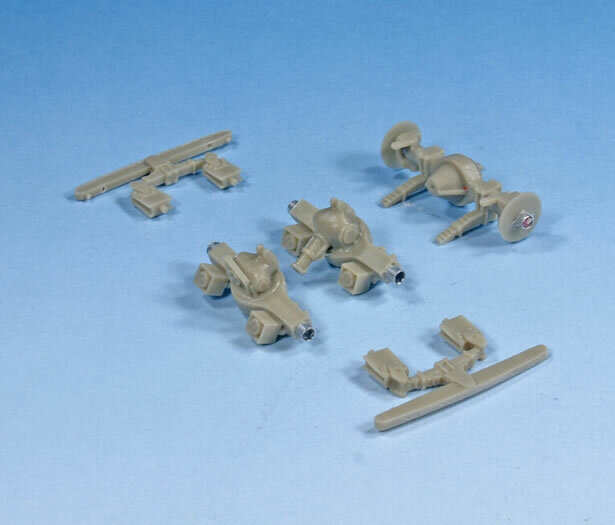 You can also find a 1/35 kit of this vehicle from Vajra Miniatures, also an excellent kit in resin, but with a not very affordable price (249 US Dollars from their website).